In a large bowl, combine salt, pepper, lemon zest, lemon juice, crushed red pepper, Italian seasoning and olive oil. Toss sliced broccoli with seasoning. 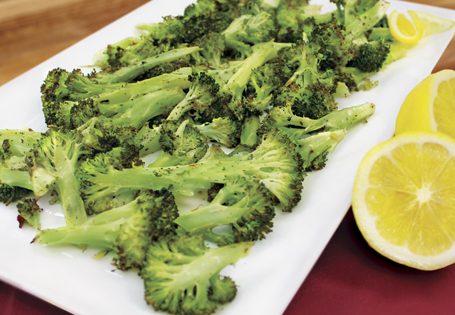 Place broccoli on a parchment-lined baking sheet and roast in oven for 20 minutes or until fork tender.